Click here to sign up! (Then click "Enter Code")! Sign up for Formed.org today! Time/location: Wednesdays, 7-8:15 p.m./Upper Room B. Dates: Jan. 23, 30; Feb. 6, 13, 20; March 13, 20. In this course, we study the book The Sacraments: Discovering the Treasures of Divine Life. In this book, Fr. Matthew Kauth presents the Church’s seven sacraments in such a way that no reader will ever again take them for granted. Fr. Kauth brilliantly illuminates not only the scriptural foundation and profound spiritual realities of each sacrament but also the necessity of each as a means to living a happy and fulfilled life that leads to heaven. You received this book at Christmas time as a gift from the parish. Contact Brenda Johnston at bj34786@gmail.com if you have questions. The dates for this journey are 1/29/19 -4/16/19. Every Tuesday in the General Flynn Hall, North side from 7:20-8:20 am. Click here to register. Time/location: Thursday evenings, 7:15-9 p.m. March 7 through September (breaks for Easter from Holy Thursday to mid-May and in late summer, Upper Room B. – Isaiah 42:6 and 55:4, through the Messiah, Israel will be a beacon of light to all the nations. The Messiah’s kingdom on earth (Isaiah chapter 65-66) is the goal towards which all of the Book of Isaiah points. Join Dcn. Larry for this 26-week study. The book will be available in the Holy Family Gift and Book Store, but registration is required to get the book there. Click here to register and reserve your book. Time/location: Wednesday evenings, 7-8:15 p.m. April 3, 10, 24, May 1, 8, PLC Rooms 4-5. 5-week study. When Henri Nouwen stumbled across a poster of Rembrandt's Return of the Prodigal Son he began a spiritual journey that would help him understand the biblical parable as well as the story of his own life. Take this opportunity to join Henri as he leads the wayward prodigal and judgmental sibling who reside within each of us towards the open-handed, overwhelming compassion and eternal love of the Father. The Return of the Prodigal Son will transform your reading of the parable and the way you understand your life story. Join Dcn. Richard Dodd in this five-week study. Registration is required to get the book in the Holy Family Gift and Book Store. Click here to register and reserve your copy of the book. If you have questions or to register, contact Brenda Johnston at bj34786@gmail.com. Understanding the true meaning of marriage is one thing, living it out is another task. 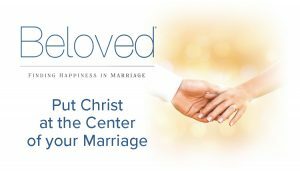 Beloved: Living Marriage examines the day-to-day challenges of being united as husband and wife, while maintaining individuality. The Sacrament of “Holy Matrimony” is our next class topic. Click here to sign up for materials.